Recently I've covered various aspects to consider as you review your insurance policy: Recommended Coverage, Bodily Injury Liability and Medical Expense Benefits, and Full Tort vs. Limited Tort. Today I'd like to share with you part 4 of my blog series on reviewing your auto insurance policy and talk about the importance of having Uninsured Motorist Coverage and Uninsured Motorist Coverage, sometimes called UM/UIM coverage. Uninsured Motorist coverage and Underinsured Motorist coverage is a type of coverage you can choose to add to your auto insurance policy. Essentially, it protects you when another person injures you in an accident, and they don't have the insurance to pay for the damages; having your own coverage will protect you in these circumstances. Beware: Your insurance agent may ask you to sign a waiver, which means you may be signing to decline UM/UIM coverage. Make sure you read all papers carefully before you sign them. Having these two types of coverage doesn't increase your premium significantly, but forgoing them could cost you thousands of dollars in the long run. Car accidents can be devastating – physically, mentally, emotionally, and financially. If you don't have protection against an uninsured or underinsured driver, there may be no way for you to receive money for your pain and suffering, lost wages, and medical bills when you're injured in an accident. UM/UIM coverage applies when you or your family members are injured in a car accident – whether you're a driver, passenger, pedestrian, or even the victim of a hit-and-run accident. Because medical bills can add up quickly, we recommend $100,000 per person and $300,000 per occurrence of UM/UIM coverage. If you have multiple vehicles on your auto insurance policy, you also can stack your UM/UIM coverage and increase the amount of money available to you if you are injured by an uninsured or underinsured driver. For example, say you are seriously injured in an accident, and the value of your case exceeds $200,000. However, the driver who caused the accident has auto insurance with liability limits of $15,000. They are underinsured. You have two vehicles on your auto insurance policy and have chosen to carry Underinsured Motorist coverage of $100,000 per person for each vehicle. You also have chosen to stack your coverage. You now have $200,000 of Underinsured Motorist coverage available to you. Take the $200,000 available to you with your own coverage and the $15,000 from the at-fault driver's liability coverage, and you could potentially recover a total of $215,000. However, if you had chosen not to carry Underinsured Motorist coverage, you would receive significantly less compensation. The bottom line: Adding UM/UIM coverage and stacking on your policy doesn't cost much. It could make a huge difference in the future, so it's better to be safe than sorry. If you have more questions, I encourage you to download our free e-book, For Pennsylvania Drivers: How to Choose Auto Insurance. 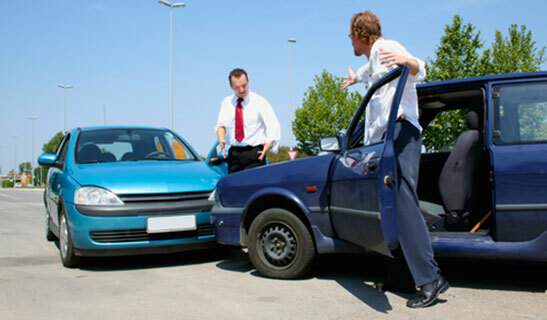 Don't miss my next blog on Obtaining Auto Insurance Discounts.